The Red Sox legend dies at 92. 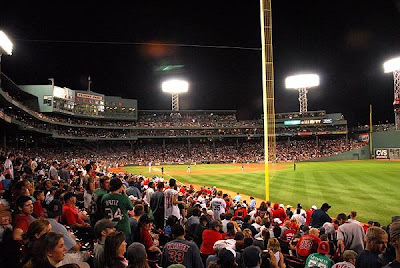 I salute the Pesky Pole in honor of our Bostonian legend! I just saw it online. Awww, I hadn't heard. RIP, old-timer; you were the greatest! The Boston Red Sox lost both a great man and one of its greatest links to the team's past with Monday's sad news that Johnny Pesky had passed away at age 92. The Boston Globe estimates that Pesky — whose No. 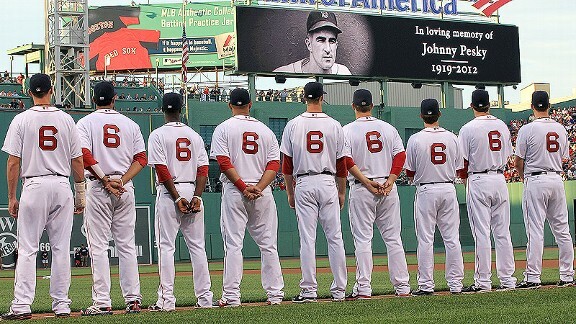 6 was retired by the Red Sox in 2006 — was associated with the team in some way for 61 of his 73 years in baseball, starting with his free agent signing in 1940 and going through several decades as a beloved ambassador, coach, broadcaster and spring training instructor. He drew some of the biggest cheers when his presence was announced at Fenway every opening day and his willingness to always accomodate both fans and media won him a wide array of admirers, even if many generations of fans hadn't even been alive to watch him play. I'm just glad he got to see the park hit its 100th. yeah well I watched the little league games for the world series - sox can't win against them either.